Andrew Squire – Scottish Landscape Paintings, Stafford Gallery at Wimbledon Fine Art, 41 Church Road, Wimbledon Village, London SW19, 21st September-5th October 2014. 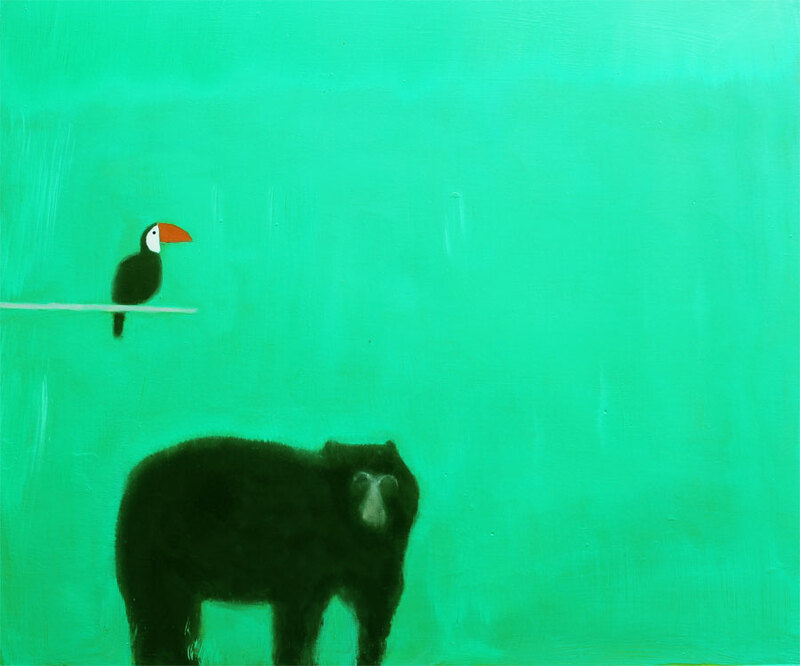 For this new exhibition of his paintings artist Andrew Squire has very generously given his painting ‘Spectacled Bear’ to be auctioned to raise funds for the World Land Trust. He says of their work “The World Land Trust do a wonderful job, working alongside local people to help restore bio-diverse environments in which endangered species can flourish, and reversing some of the damage that we inflict on the planet. That is why I feel very privileged to be an Ambassador for the Trust, and to be able to express my support for their work through my painting”. Indeed all the proceeds will be given to the Trust. The auction will be conducted by the well-known TV and Radio Personality David Hamilton at 1pm on 21st September. The painting ‘Spectacled Bear’ (and the rest of the show) can be viewed on the gallery website http://www.staffordgalley.co.uk. For any of you who wish to bid but are unable to come along on the 21st then please contact Judy Stafford or Andrew Stoppani on 020 8944 6593. This entry was posted in British Paintings, Contemporary Art, Fine Art, Visual Arts and tagged contemporary art, Fine art, Visual Arts, Wimbledon Village, World Land Trust.